The day has finally come and you are about to close on your home. Your offer was accepted, the house has been appraised, inspected, all repairs (if any) have been made and you finally have your final walk through of the property. The walk through is done to ensure that the seller has left the property in the condition stated in the sales contract. If there are any problems, you can ask to delay the closing or request that the seller deposit money into an escrow account in order to fix the discovered issues. If you are purchasing a property without a loan you will need to sign only a few title documents and a Settlement Statement. If you are purchasing a property with a loan you will need to sign loan documents in addition to the title documents and Settlement Statement. The number of loan documents varies with each lender, but the main documents you will need to sign are the Note and Mortgage. The Note is the promise to pay the lender and the Mortgage is the document recorded in the public records of the county you are purchasing the property to notify the public there is a lien against the property. If you are purchasing a property without a loan you be required to pay all closing costs at closing. You will also be responsible to pay your taxes when they become due. The seller will give you a credit at closing for their portion of the taxes for the current year. You will also be responsible to pay for hazard, windstorm and or flood policies if you choose to purchase them. Insurance; a lender will require you to purchase hazard insurance at closing. Depending on the home’s location they may also require you to purchase windstorm and/or flood insurance. Escrows; most lenders will require you to pay a monthly fee they will hold in escrow to pay the real estate taxes and the insurances when they become due. The lender will require that you make a deposit into this escrow account at closing. Your closing day has finally arrived and can be very exciting, but you want to make sure that you are prepared. Make sure that you read and understand all the documents before you sign them. Be sure to ask questions if there is something you are signing that you don’t understand. Closing Agent; who may work for the lender or the title company. The closing agent is responsible for conducting the closing/settlement, making sure all the documents are signed, and that the closing fees and escrow payments are all paid and distributed. 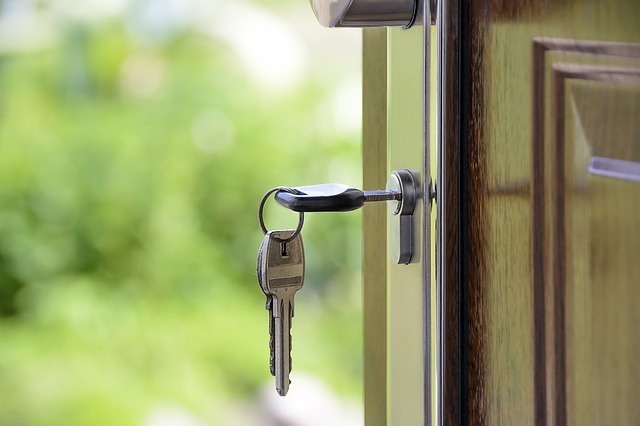 Once everything is signed and the funds have been transferred, you’ll receive the keys to your new home!